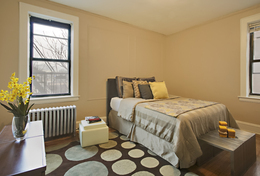 Quality living is what you'll find at our clean, well-maintained, and spacious building. At Beech Kearny Apartments, we make sure that your home is comfortable, and our professional staff is always striving to meet every one of your requests. Its superb location and close proximity to New York City, and easy access to transportation, state of the art medical facilities, employment hubs, shopping, and entertainment make it a desirable place to live. Copyright © 2019 Beech Kearny Associates. All rights reserved. Equal Housing Opportunity Provider.